E. Preston News | UK Electrical Distributors – E. Preston (Electrical) Ltd. There are a few inventions that we often take for granted. The indicator light is a perfect example of an unsung hero in the engineering world. Though it’s a simple little component it performs a role we simply couldn’t do without and is used in countless applications. The indicator light is our gateway to understanding the state of the machinery we interact with day in day out; it’s essential for condition monitoring and health and safety, and for that reason it seems it’s about time it got a bit of recognition for the essential work it does! The most common form of indicator light these days is the LED indicator light, although more traditional incandescent light indicators are still used and available. LEDs were first developed as replacement indicator lights for incandescent and neon indicator lamps. LEDs were developed in 1962 by Nick Holonyak Jr who is widely considered to be the father of the LED. Originally LEDs were expensive to manufacture, costing around $200 per unit so had very little application, but by 1968 the lights had been developed so that LEDS could start to be widely used. They were installed in various pieces of equipment as indicator lights. The technology which led to cheaper LED lights being developed has now advanced so that LED lights can be used for everyday lighting as well as in machinery. LEDs are set to be the next big thing in public and domestic lighting in the next couple of decades. Indicator lights let us know what’s going on inside equipment and this equipment can be as trivial as a games console or as important as an aeroplane. If the indicator lights fail on your favourite console nobody is going to die, but in a plane or car it could be different story. We rely on these little lights to warn us if our brake fluid is low or to let our pilot know the plane has sufficient fuel. In industry we use indicator lights to let us monitor the state of our machinery so we can decrease downtime and increase efficiency. In the office an indicator light can monitor our energy use and help us become more eco-friendly. Indeed, CMD offer a new ‘footprint system’ which helps offices monitor energy use and this relies heavily on the indicator light. Indicator lights let us know when something is wrong and when everything’s going right and without them the world would be far less efficient place. So next time your indicator light flashes up take a second to value its role in our work and daily lives, it really is something we couldn’t live without. Written by Ed from CMD Ltd. A leading supplier of power distribution units and power management systems online. 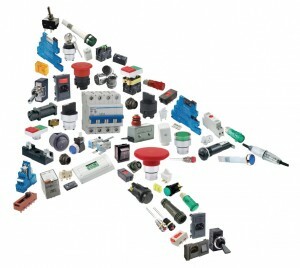 E. Preston Electrical is a Specialist Distributor of Electrical Components. With over 30 years of experience in the distribution industry our expertise allows us to meet the high demands of changing business needs. We offer the complete range of Solar PV Components from some of the world’s leading manufacturers, including Solar Panels, Inverters and Isolators, etc. 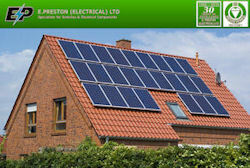 E Preston Electrical is an independent distribution company. Our Solar products can be bought separately or as part of a complete Solar kit. Products have been carefully chosen because of their quality, availability and price. Kits are available for the following systems: 1.5kW, 2kW, 2.8kW and 4kW. Each kit includes solar panels, inverter, generation meter, AC & DC isolators, cables, connectors and roof mounting fixings and rail. Solar PV utilises energy from the sun to generate zero carbon, free electricity. It relies on daylight to generate power through the use of photovoltaic cells within roof-mounted modules. Electricity produced from Solar PV has a very high efficiency of around 95%, compared to electricity generated from traditional fossil fuels which have overall efficiency of less than 40%. The electricity produced by a Solar PV system can drive any appliance that is powered by electricity. An inverter converts the DC current into usable AC current that can be used as power. Any surplus electricity produced can be sold back to the National Grid. Electricity requirements vary depending on the size of your house and how energy-efficient the building and appliances are. With a Solar PV system you will be able to reduce electricity bills because the system will supply some or all of your power rather than mains electricity.